The Hair Salon. A place where split ends come to die, roots are buried underneath glossy new colour and the gossip rolls off the tongue your stylist becomes your absolute fave agony Aunt. We all love the trip down to the hair salon – whether it’s a quick 50 minute trim or a 3 hour colour correcting visit. Regardless, it’s a place where the magic happens and you leave feeling like a million bucks & the inner sass queen comes out in full force. A good salon deserves raving about & an even better one deserves a blog post! 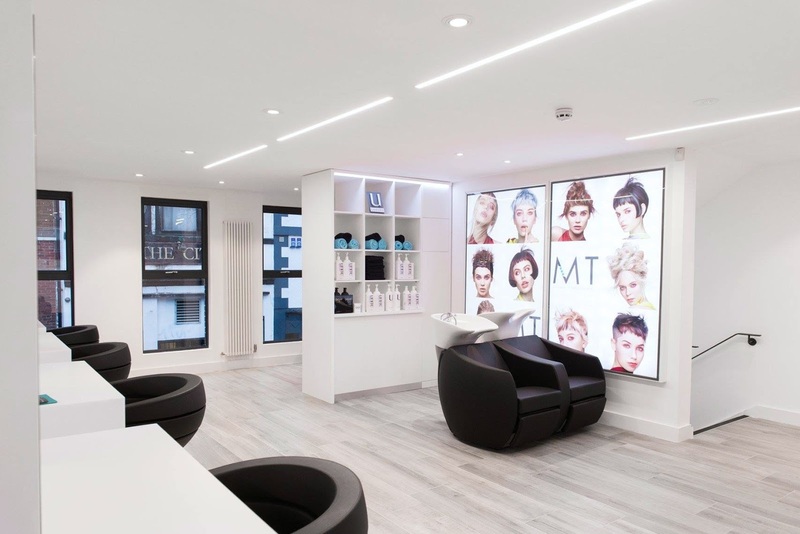 I headed down into Manchester a couple of weeks ago to visit the Melissa Timperley salon after I had been invited down to see and experience what the beautiful salon had to offer first hand. The salon is located in the heart of Manchester’s beloved Northern Quarter, in a perfectly prime spot for a post work hair fix. The finer details really matter when it comes to first impressions and the interior of this salon did not disappoint and it is without a doubt every bloggers dreams – Instagrammable? HELL YES! 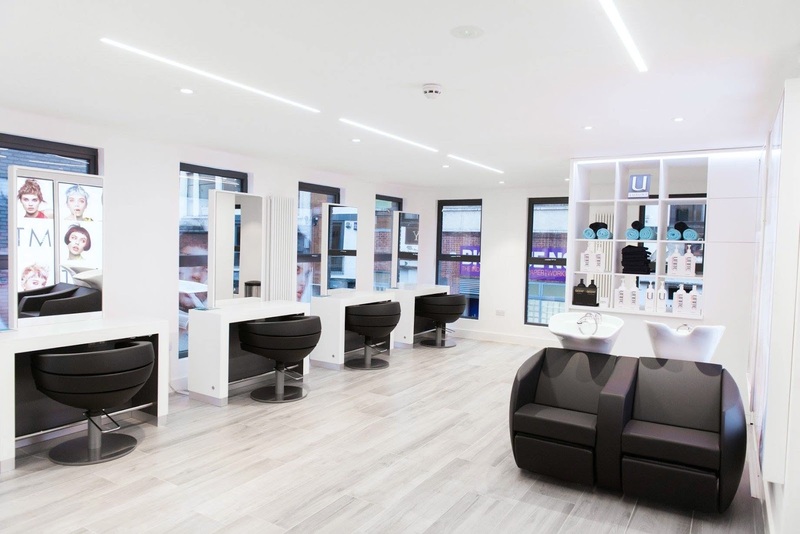 With a delicate colour scheme of monochrome & lashes of teal, the modern salon & trendy salon felt right at home in the NQ! I can be quite an all round fussy individual in life and not just about my hair – in fact, I become a tad more protective over my locks more than anything else and my perfectionist nature comes out in full force. I’m sure we’ve each had our own horrific experiences sat in that salon chair in the past – and I’m sure it has left some us less trusting towards new stylists, or even trying out new hair styles, cuts & colours! That’s why visiting a new salon for me can be quite a nerve wracking experience. A number of questions always run through my mind whilst sat in that chair: Will they chop too much off? Will they cut into my layers enough? Have they parted my hair exactly how I like it? My hair is my comfort blanket, it’s my favourite feature and I’m allowing someone else to have control over my entire appearance – it’s a pretty big deal! But when I sat down in front of Melissa I was instantly put at ease and felt relaxed about the next hour ahead. Melissa did something that not many stylists seem to do and I think more stylists should do! I never go to wild with my hair. Grown out bangs & layered locks have long been my beloved haircut for well over a decade now. But a simple haircut isn’t always fail safe to say the least. Melissa talked me through my current hair cut and showed me what aspects of my style needed improvement, what would work and why it would work. Talking through how much length would be cut off and in my case, it was a little more than I wanted. But due to my hair length needing to be corrected due to a very uneven bottom layer, the only option was to go ahead and chop a little more off than I had initially planned. I have to say it felt 100x better knowing that we had discussed more hair being cut away rather than experiencing that bang of shock when you catch a glimpse of the pile of your hair on the floor. My hair was styled super smooth & sleek, pretty much how I wear it most days, but this was so we could go over & find any imperfections & being the Queen of perfectionism myself – this was a dream come true! No uneven layers hereeee! I also have a cowlick on the right hand side of my hair line which can be pretty damn annoying as it often creates a split in my bangs. 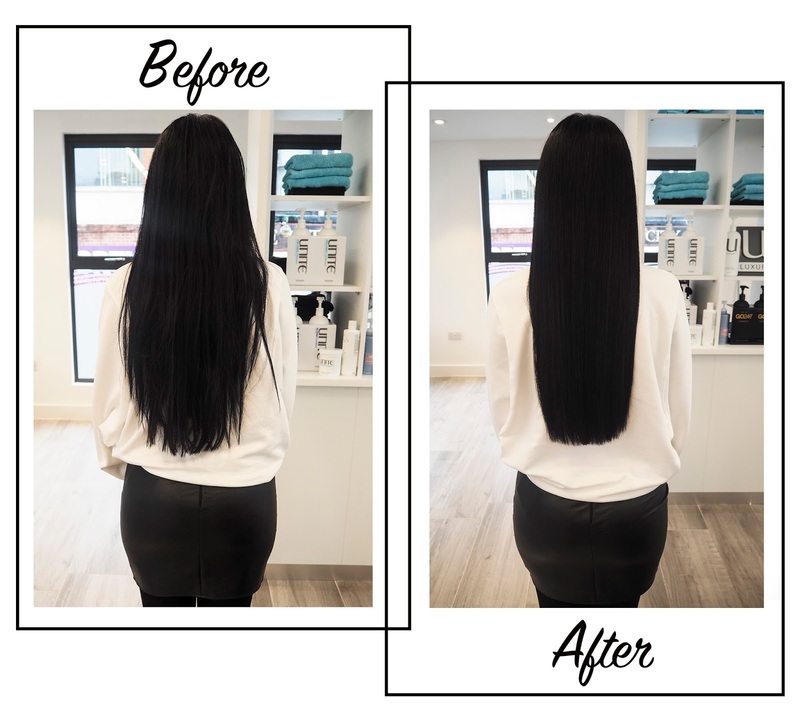 Melissa taught me how to dry this correctly (brush it in every direction possible when drying to allow the hair to sit naturally in place) – something which no other stylist has ever done before! Being told little tips and tricks about how to style your own hair is vital and so important to be able to maintain that salon style hair everyday! – Round brushes & nozzles are never used when drying your hair. A wrap drying technique is used which is gentle on the hair & allows hair to fall naturally. – You can enjoy a full reclining seat when having your hair washed – The ultimate dream! – You can take a virtual 360 degree tour of the salon before stepping inside to full immerse yourself in the salons gorgeous decor! – They never use clippers, only scissors! – All their Unite styling products are 100% cruelty free & vegan!- Appointments fill up fast! So if you’re wanting to book a slot, you’ve got to be quick! Previous Post It’s OK To Say No To Collaborations.